Total Movie Converter has a robust user interface and a handy wizard. Therefore, it is great for both experienced and first-time users. Converting FLV files to other formats is no longer a problem. With Total Movie Converter, you can convert FLV to MPEG, MPG, AVI and WMV with a much better image and sound quality. This FLV converter boasts a unique video-to-device element, by aid of which you can put your video collection on iPhone, iPad, Apple TV, Zune, iTunes, Creative Zen Video, etc. 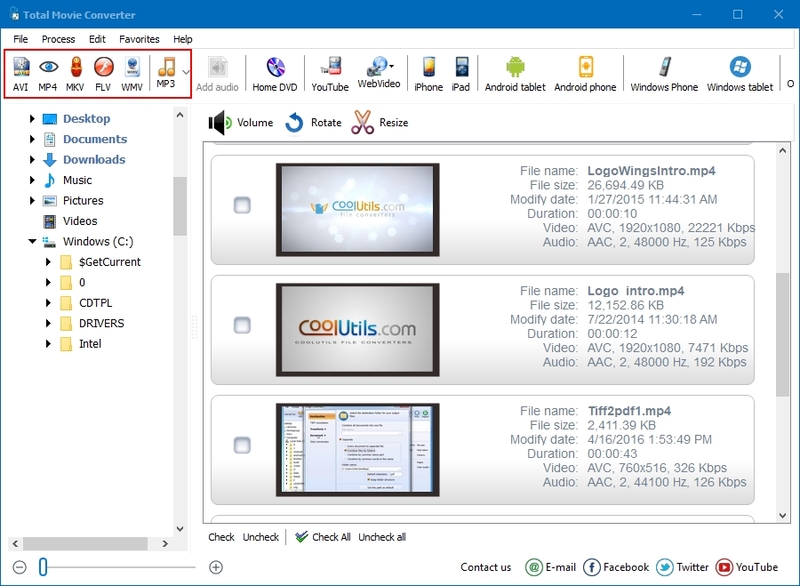 This converter will help you make your videos compatible with any portable player. With the help of batch function, you can convert several FLV videos in one go. One of the greatest things is that you can grab Youtube vids and save them in your preferred format. All you need to do is copy-paste the url. Converting FLV files is very simple. Run the program and select the FLV files you need to convert. Click on the folder with FLV files in the folder tree on the left. A list of files contained in the folder will appear on the right. If you would like to convert one or several files, check them manually. Select the target format in the format bar or Convert menu. Use the wizard to adjust conversion parameters. 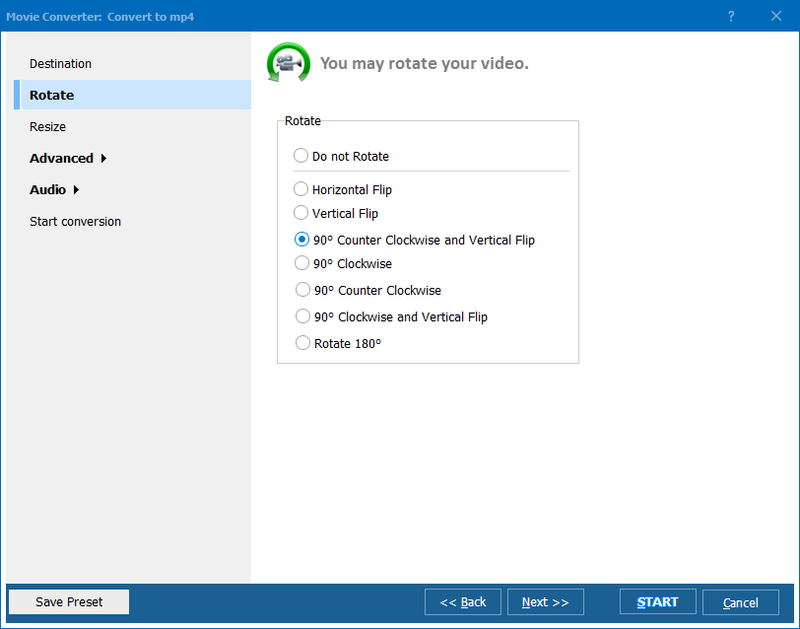 Here you can select between different codec types and quality options, audio/video bitrates, frame rates, etc. Use the built-in video player to preview your videos and check quality. When you are through with the settings, click Start. To convert video from the desktop, right-click on an FLV file and select Convert to in the popup menu. Then follow the standard conversion procedure. Command line option permits you to convert FLV from within any other utility. This video converter is shareware. You can download the free trial version and use it for 30 days. Registered users will receive free technical support and regular upgrades.